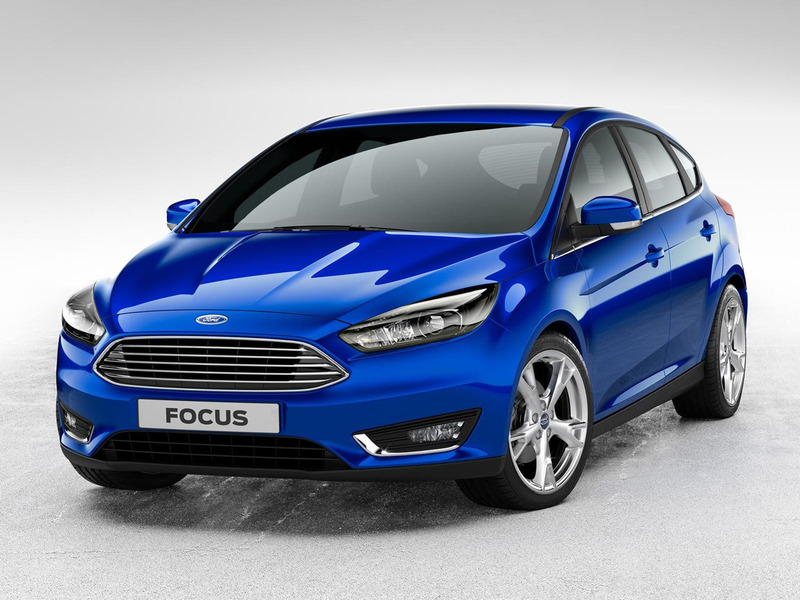 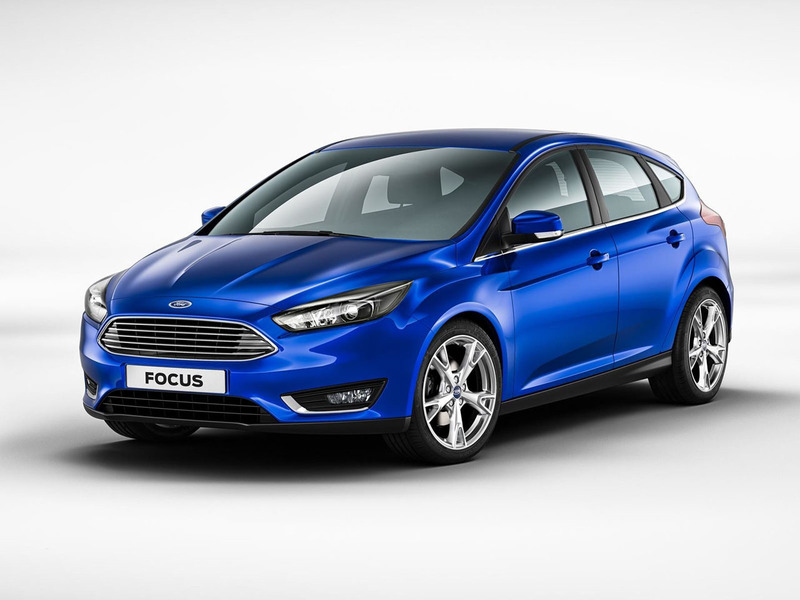 its updated 2015 Focus compact. 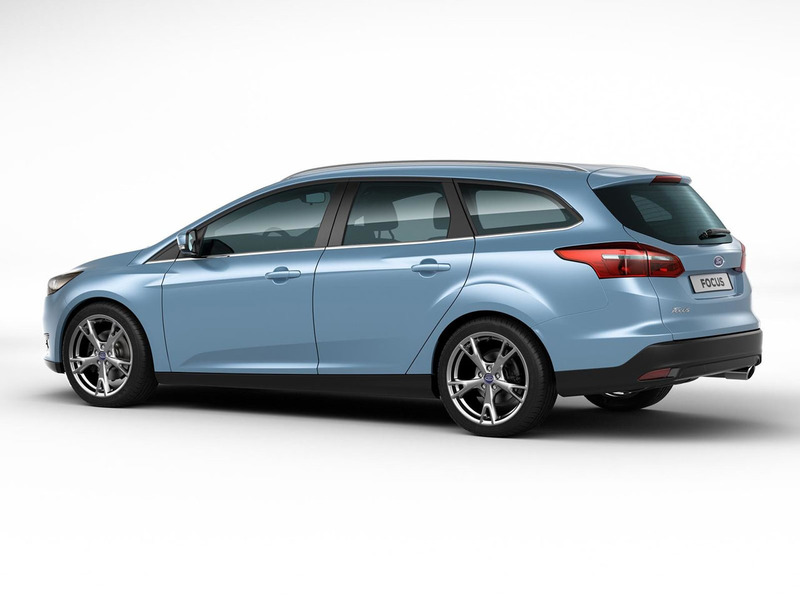 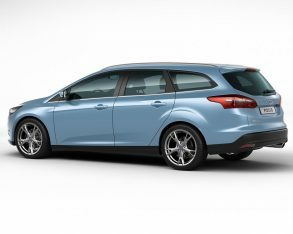 The current third-generation Focus was introduced in 2010 for the 2011 model year, and the revisions for 2015 represent a mid-cycle refresh. 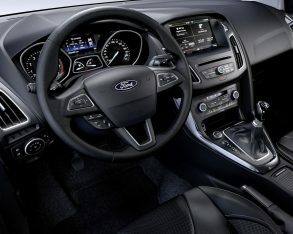 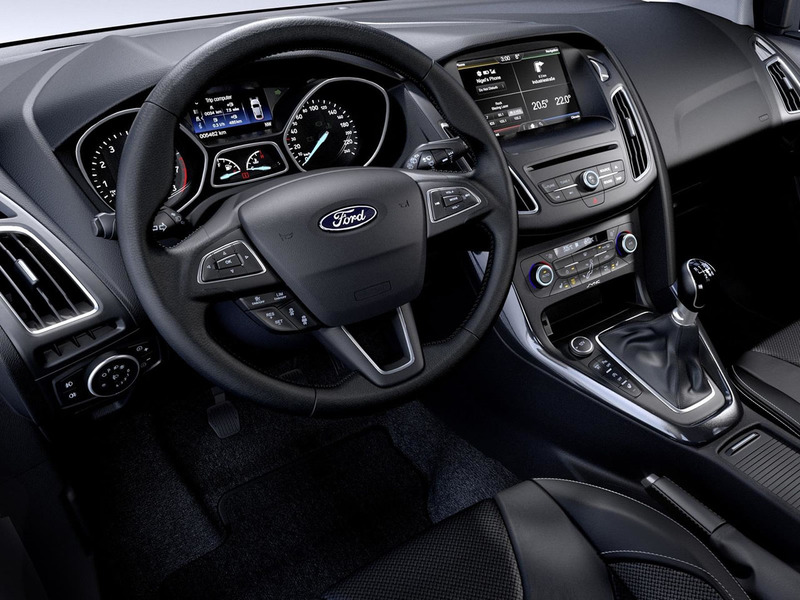 The changes include a restyling that Ford says "reflects the One Ford global design language." 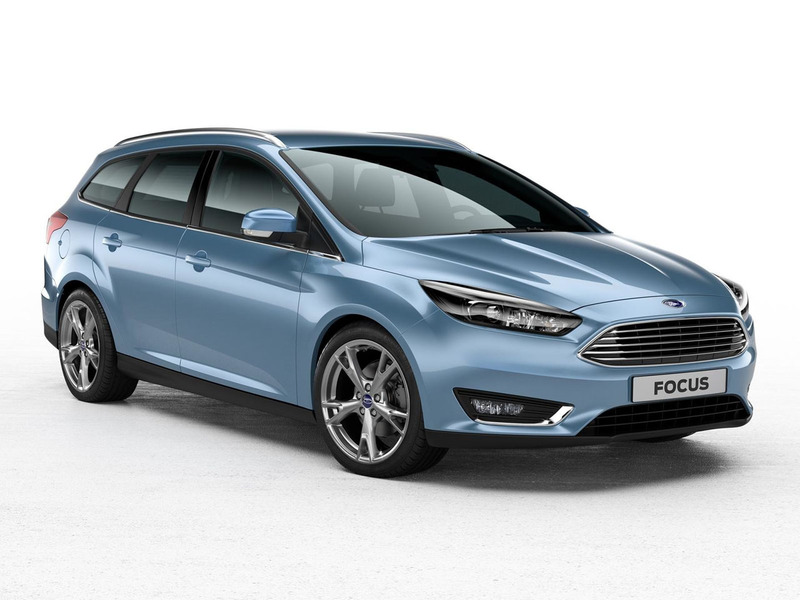 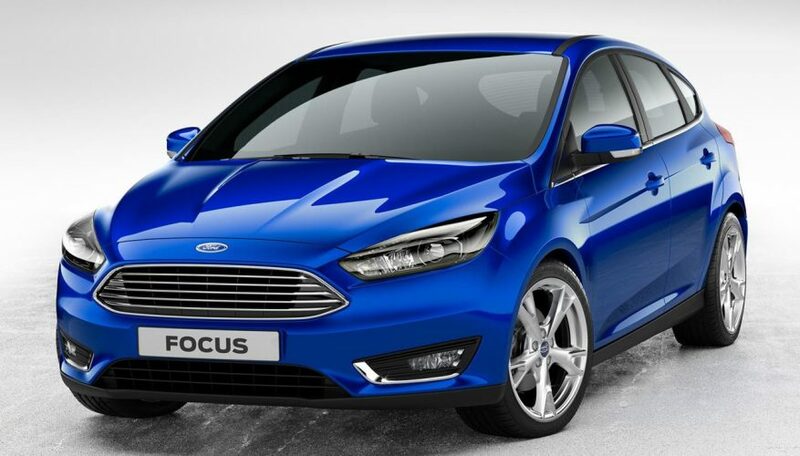 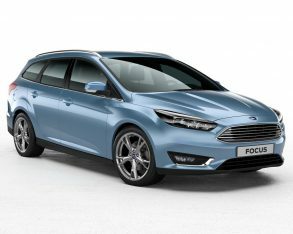 In practice this means the Focus gets a new front fascia with the same Aston Martin inspired trapezoidal grille as the Fusion and Fiesta, as well as slimmer front headlights and more rectangular fog lights. 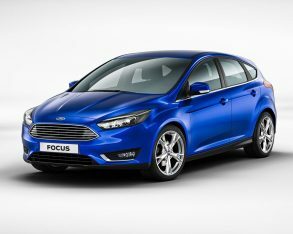 The hood has also been restyled to offer a more sculpted look, while at the back the trunk lid and rear light clusters have been revised. 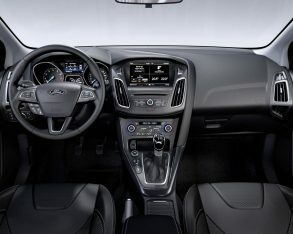 only in the Fiesta. 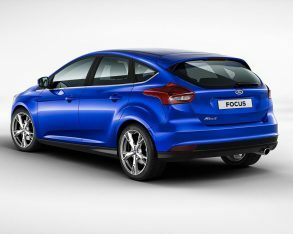 The 1.0-litre engine will be offered alongside the base 2.0-litre GDI I-4 engine. 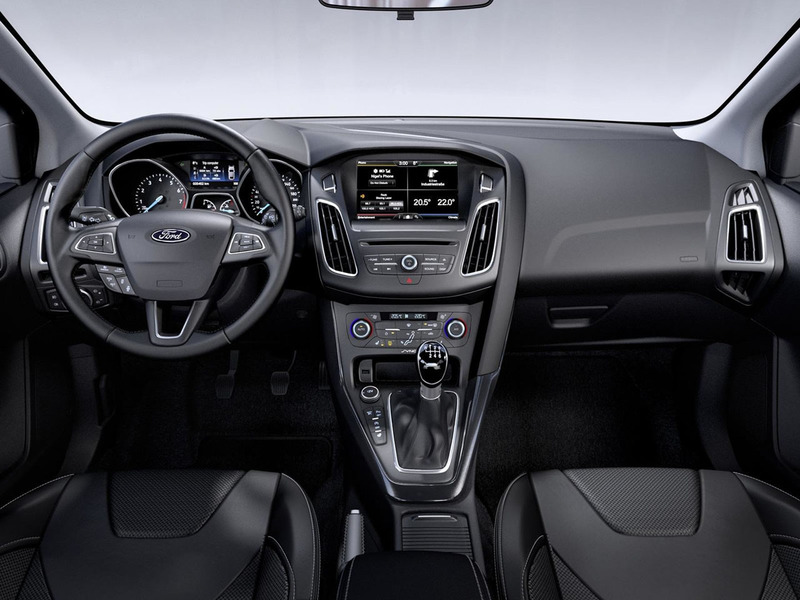 existing Active Park Assist parallel parking system), and North American customers can expect to see that technology available here in the near future. 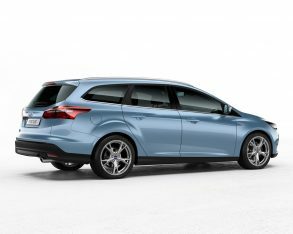 What won’t be coming to North America, at least not in the foreseeable future, is the wagon variant shown in Barcelona – the North American market will continue to only get the four-door sedan and five-door hatchback. The 2015 Focus is expected to go on sale here in late 2014.